A recent addition found in the pages of the New York Times and already much made and shared. 2. 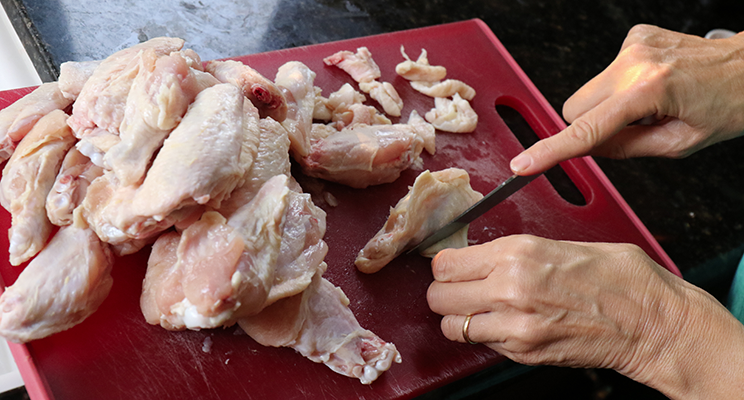 Trim any excess fat off chicken wings and separate at the joints. 3. Chop sage (or strip rosemary leaves from stem) and chop lemons in half lengthways, then into 1/4" slices. 4. 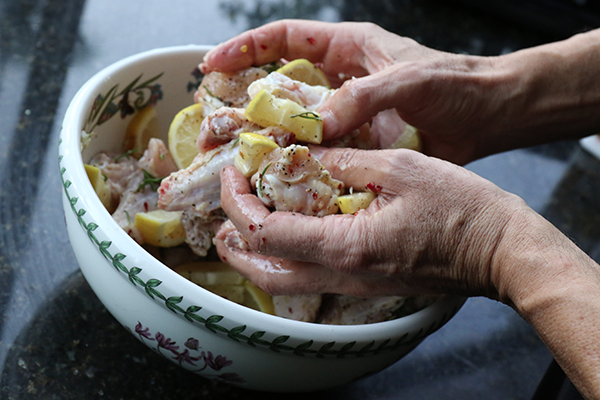 Add wings to a dish and add oil, sage or rosemary, lemons, crushed garlic, chili flakes, and 2 tsp salt and 1 tsp pepper. Hand toss. 5. 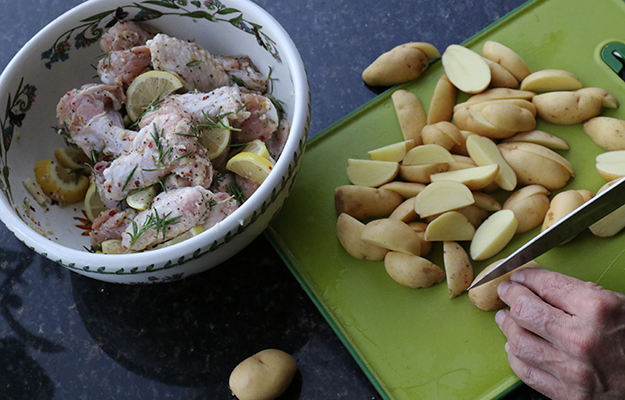 Cut potatoes in quarters lengthways then arrange on the bottom of your oiled baking dish with the pearl onions and the halved garlic knob. 6. 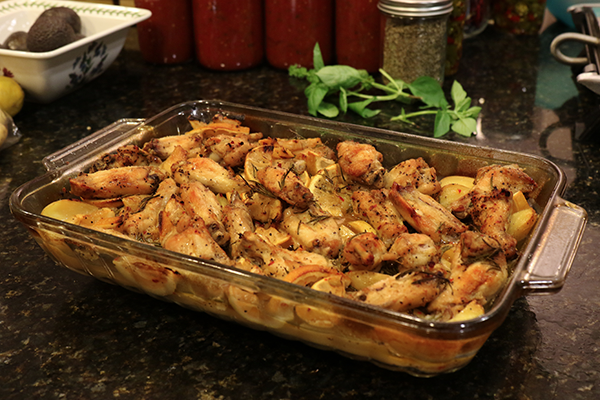 Tip wings into baking dish and arrange so wings are spread evenly. 7. 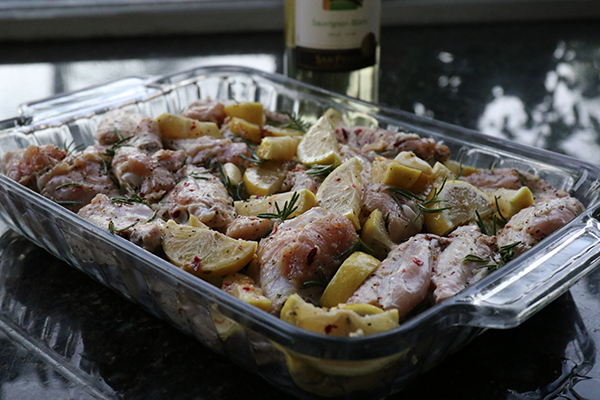 Add wine and cover dish tightly with foil. 5. Bake for 45 minutes or so to cook potatoes then remove, uncover dish and cook a further 20 minutes or so to brown wings. Note: If serving over rice, keep an eye on the liquid levels in the pan (i.e. make sure their is always some liquid). Then remove wings, potatoes, lemons, garlic etc and season and thicken/hydrate juice as desired and pour over wings and rice.